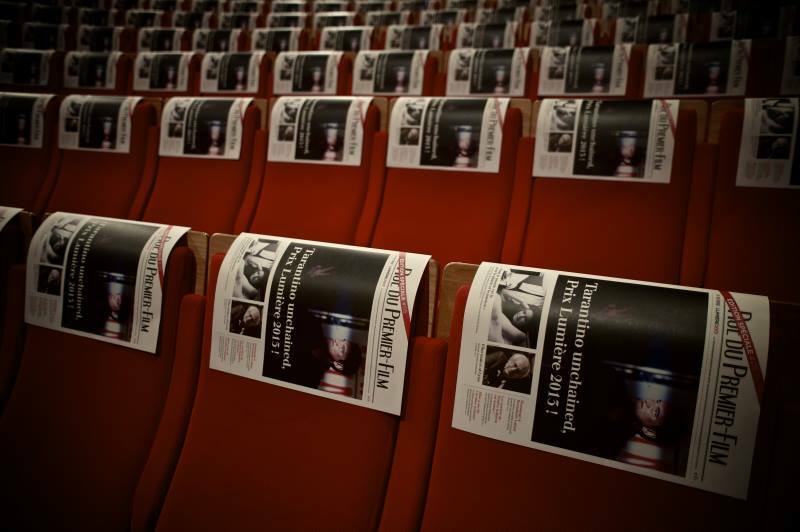 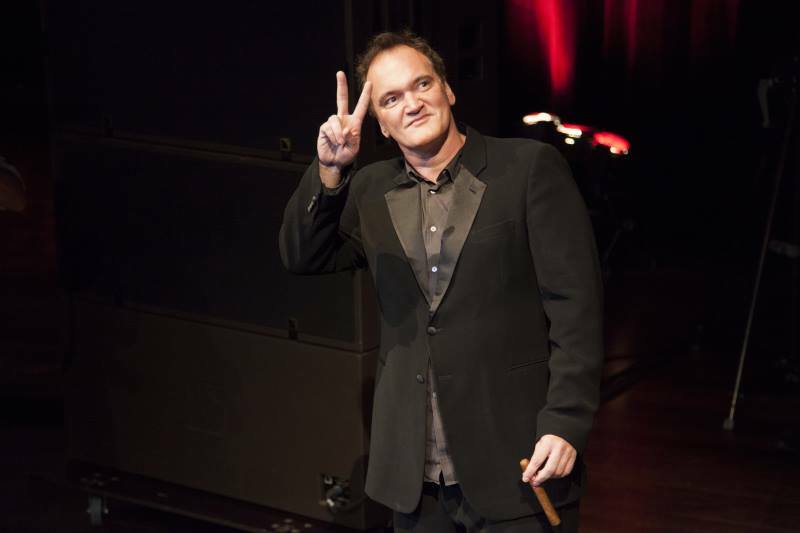 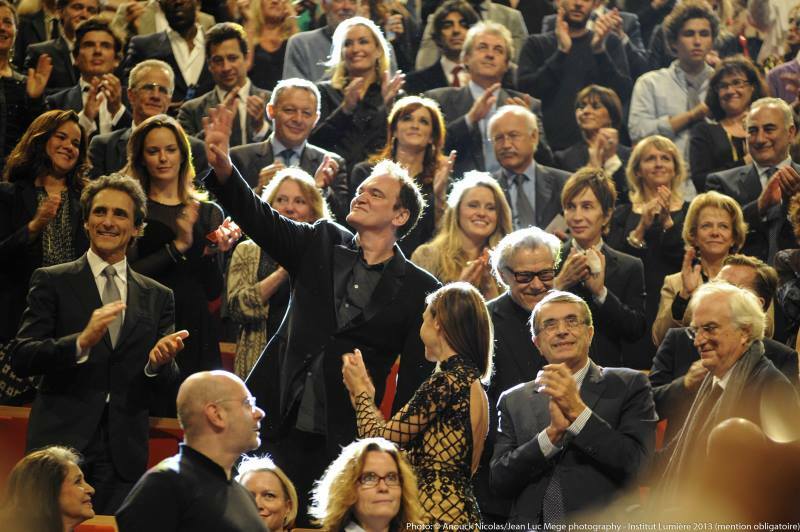 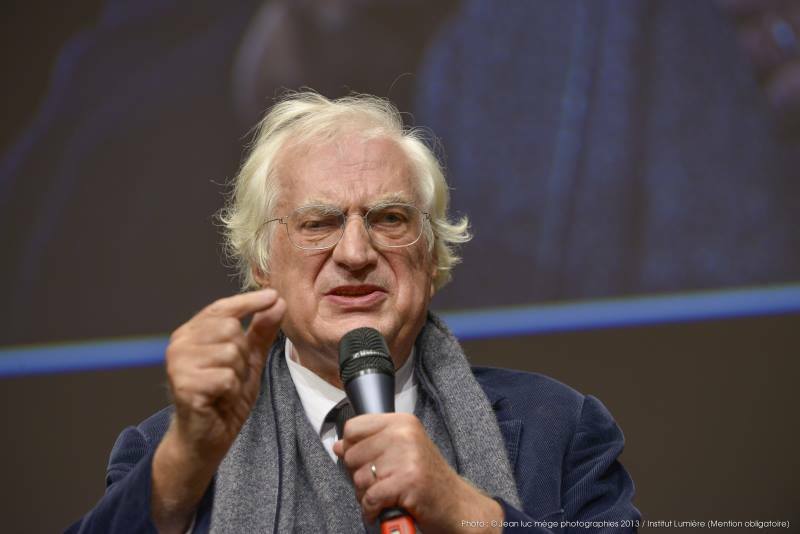 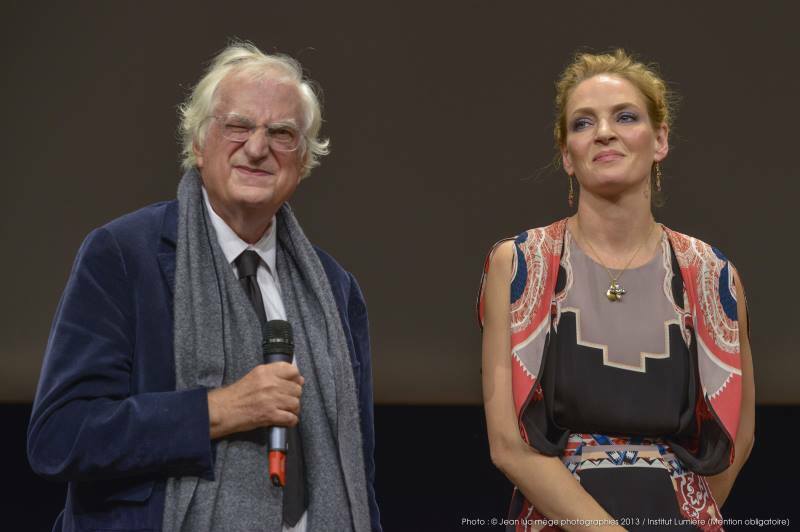 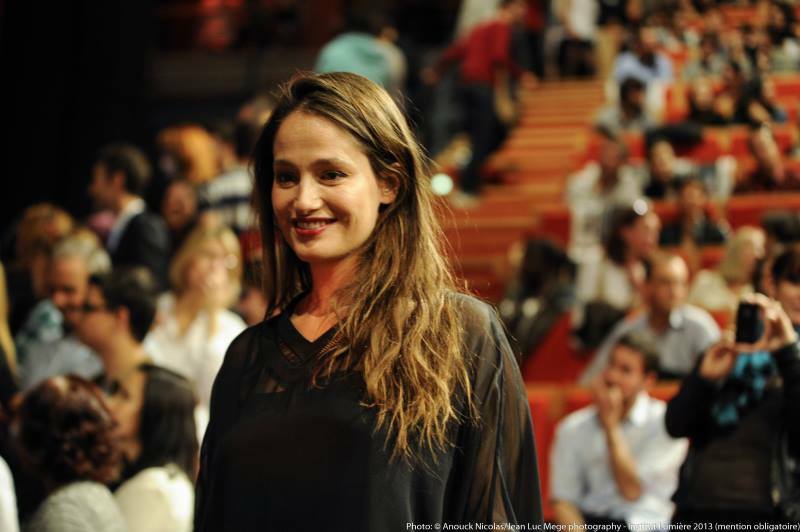 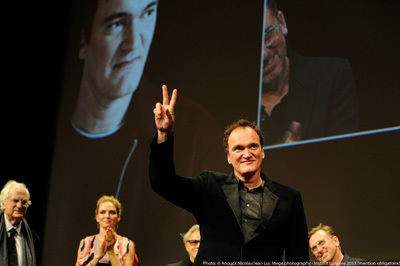 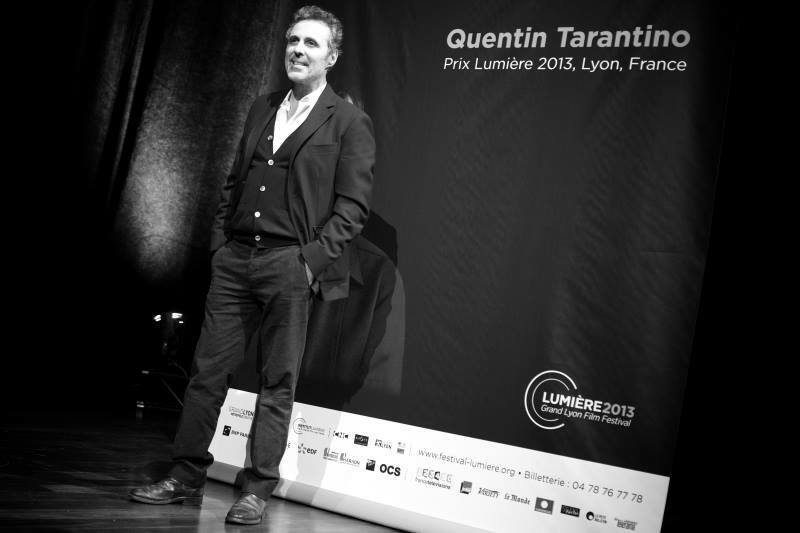 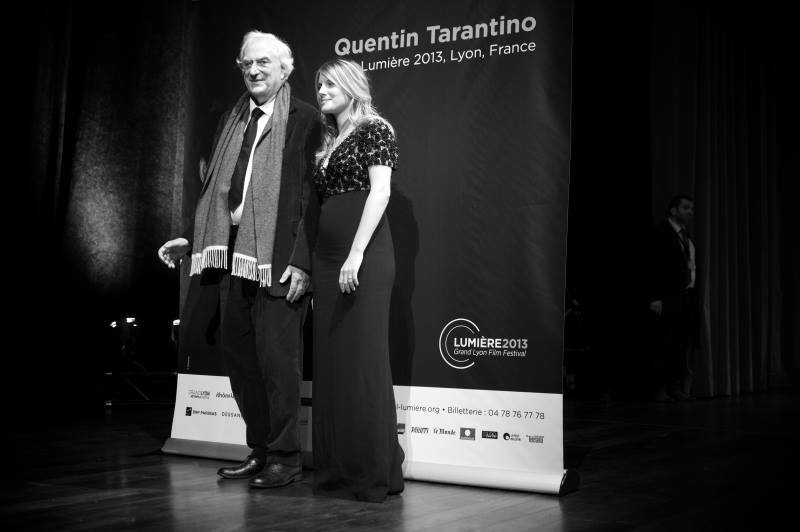 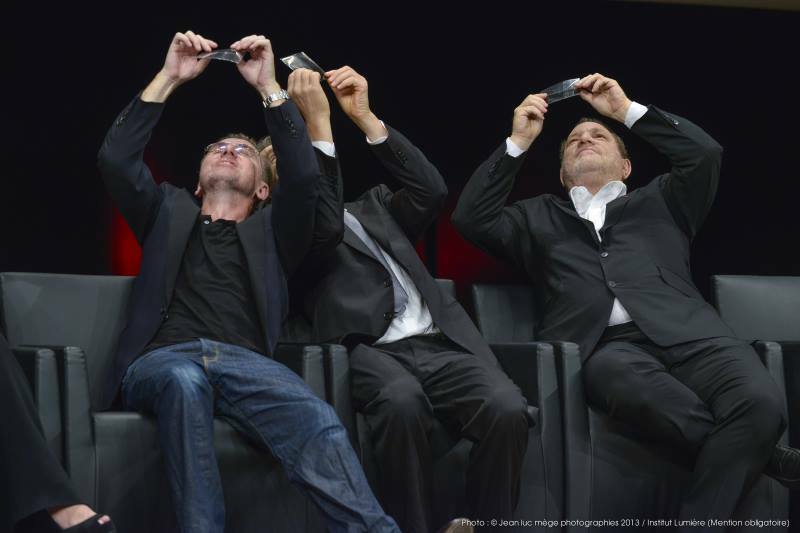 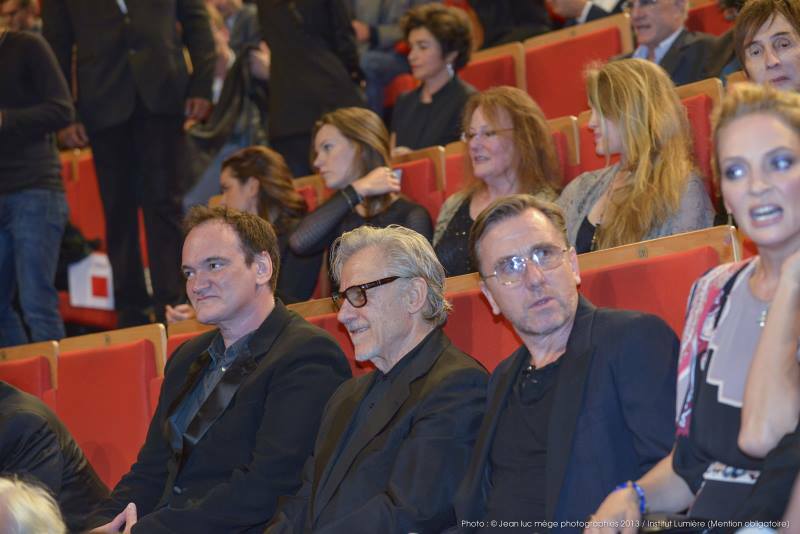 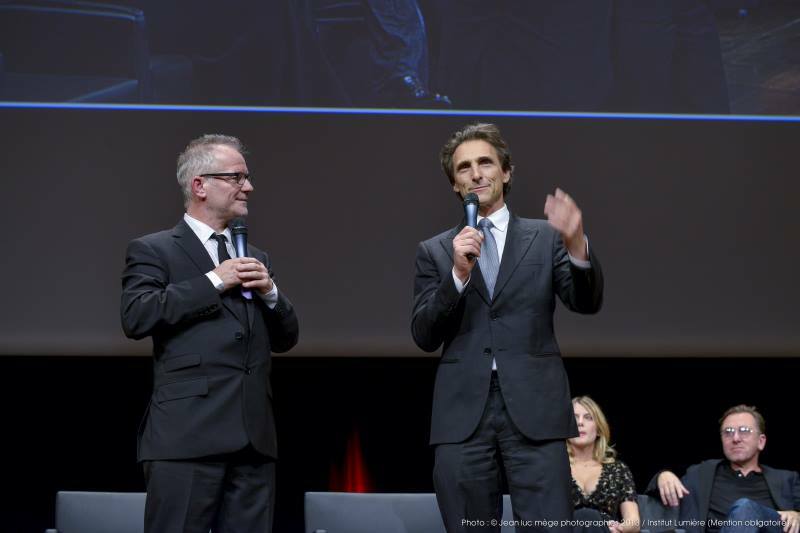 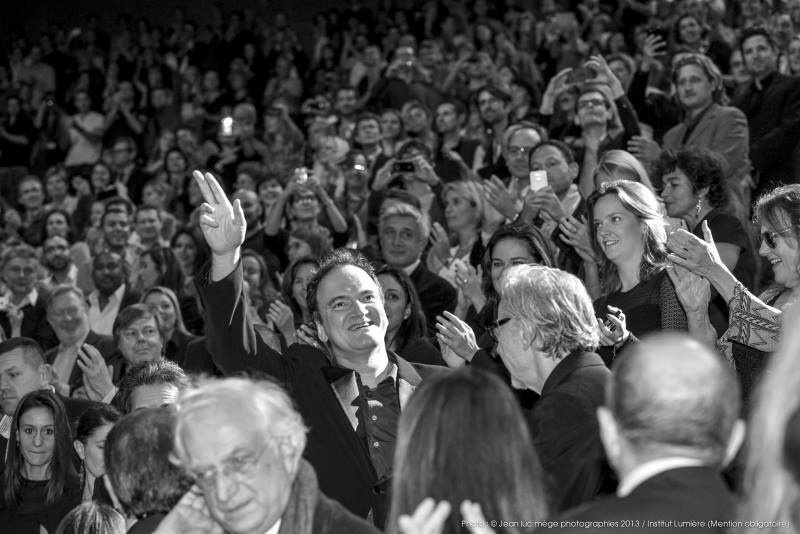 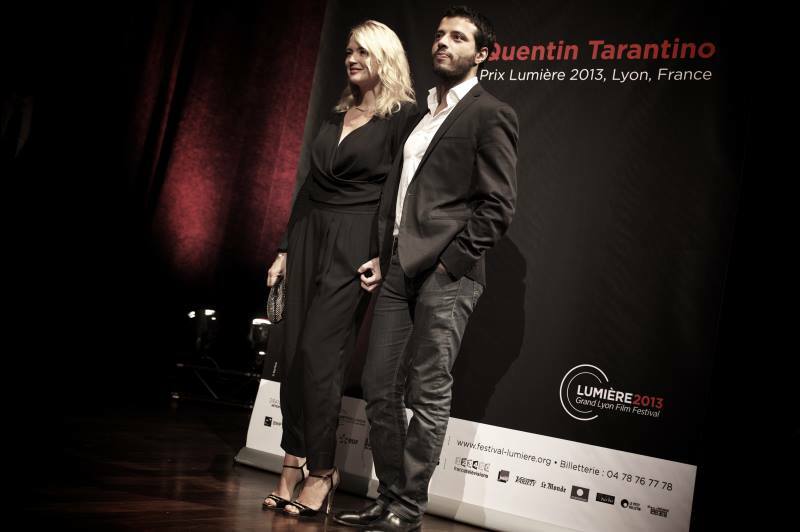 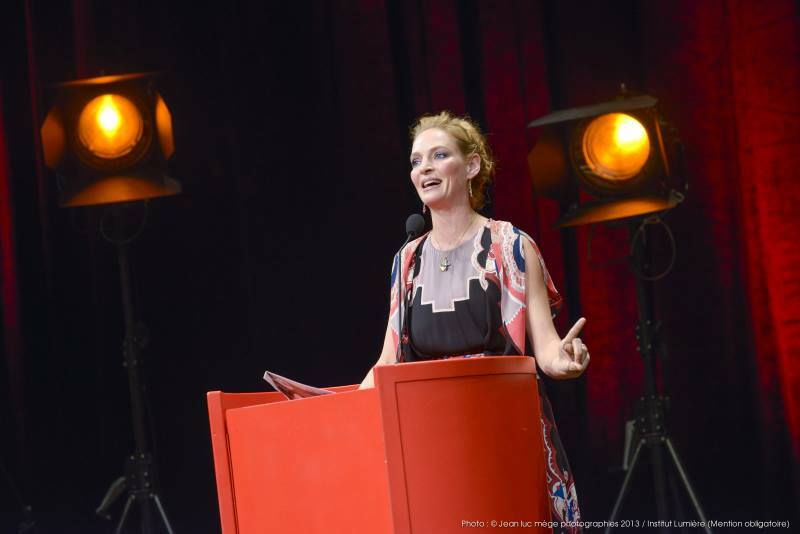 On Friday night, Quentin Tarantino was presented the Lumière Award by Uma Thurman, in the presence of Bertrand Tavernier and invited guests at the Amphitheater of the Lyon Conference Center. 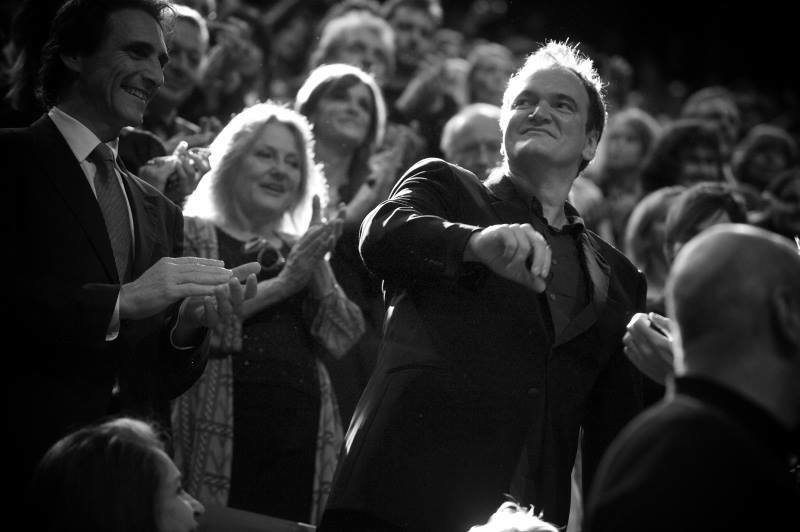 Thousands of people united in standing ovation to deliver a titanic tribute of love and affection to a visibly very moved Quentin Tarantino. 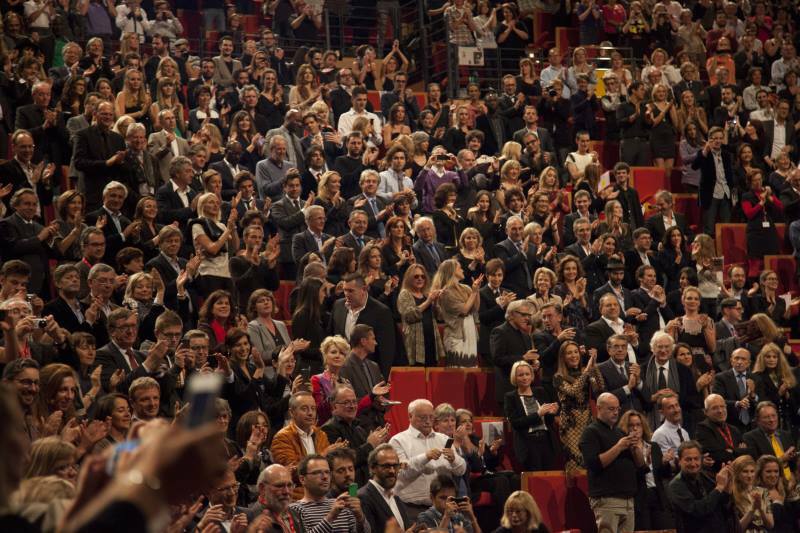 Emotions were running high around the hall, the bursts of joyful tears bouncing back with giggles all through the stalls. 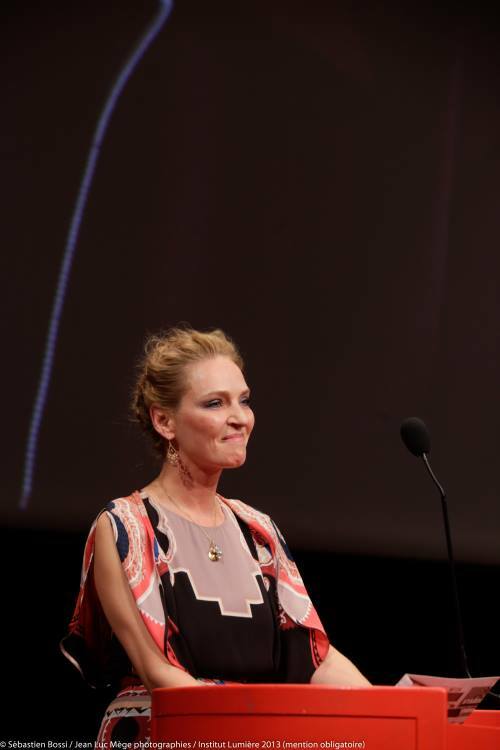 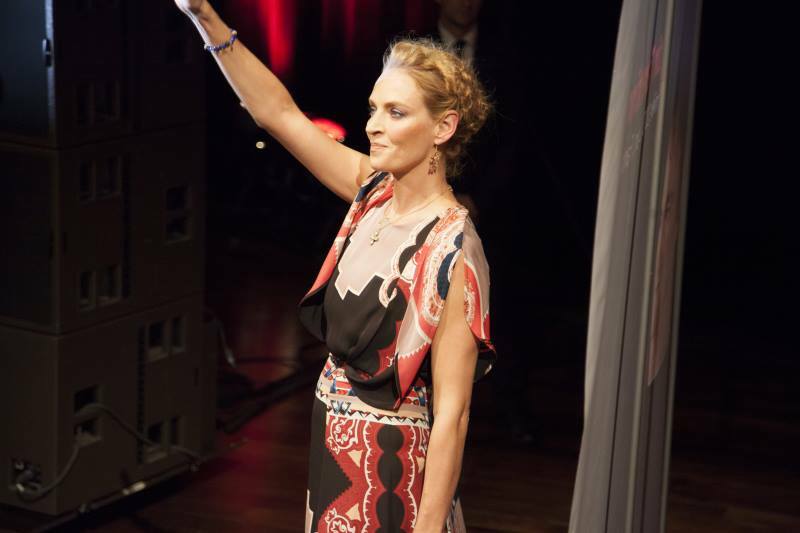 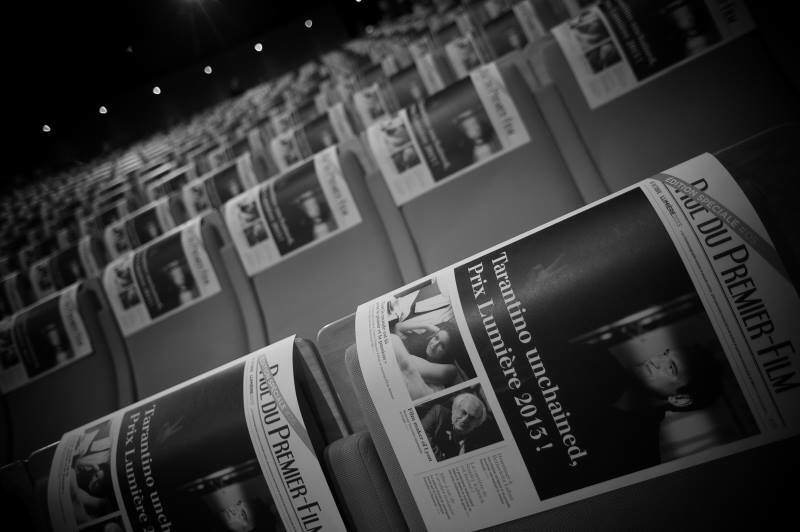 Not 48 hours beforehand, we had heard from an official source that Uma Thurman was in Lyon and would be on hand to present the award to the director who blessed her with two of her career’s highlights. 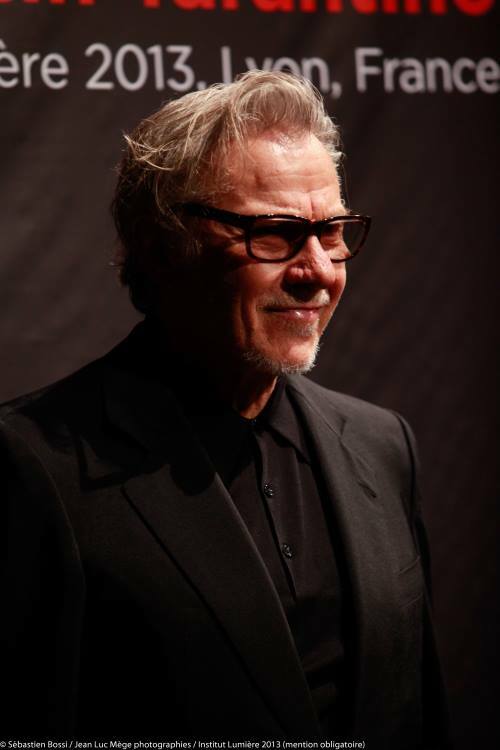 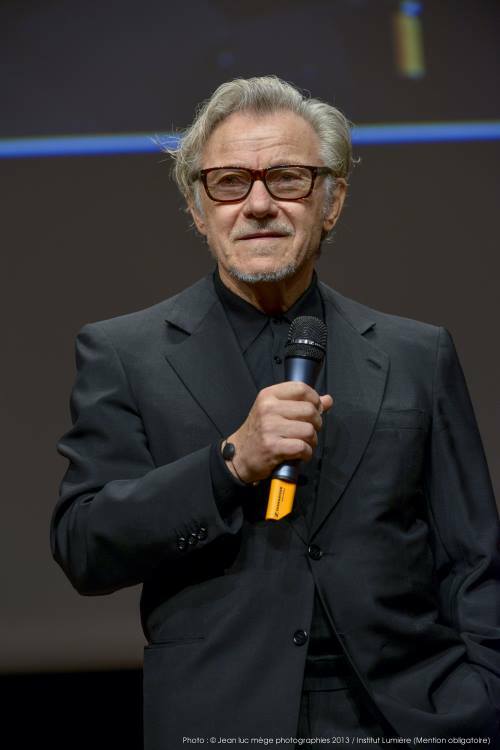 With the press still hot, the names begin to drop: Harvey Keitel, a kingpin in QT’s first film, Reservoir Dogs; Lawrence Bender, QT’s first and faithful producer, and Harvey Weinstein, legendary producer of Tarantino films since Pulp Fiction—known for his robust build as much as his robust temper. 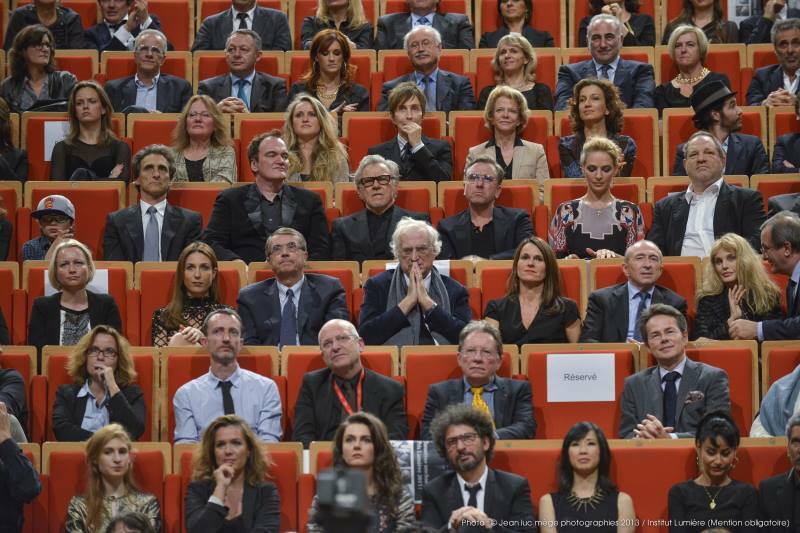 At about 7:15pm, seats started filling up. 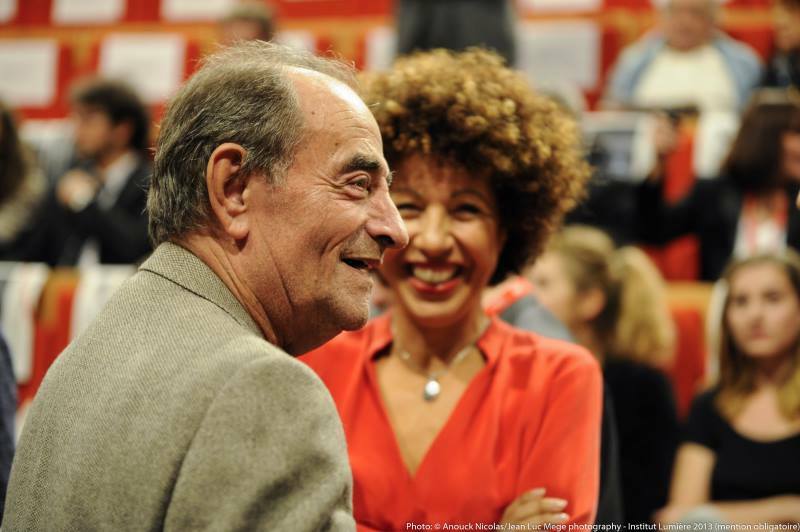 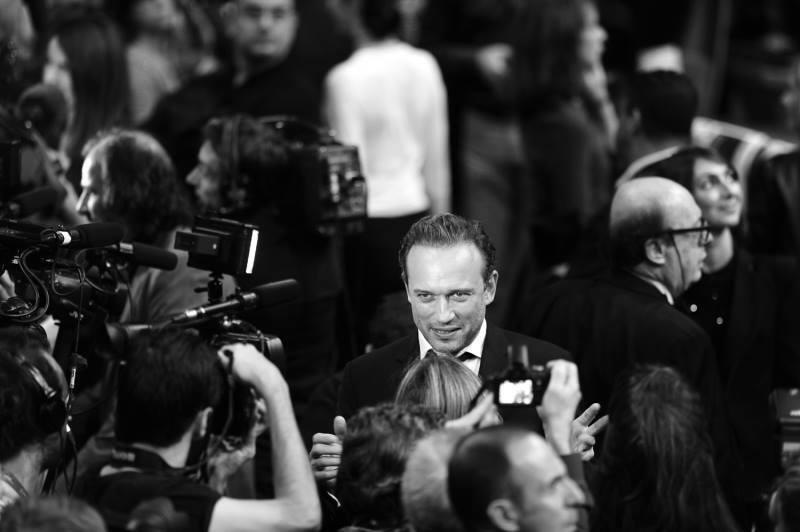 Minster of Culture and certified cinema buff Aurélie Filippetti was in attendance and we caught glimpses of discreet filmmaker Luc Dardenne and the talented artist, Alain Cavalier. 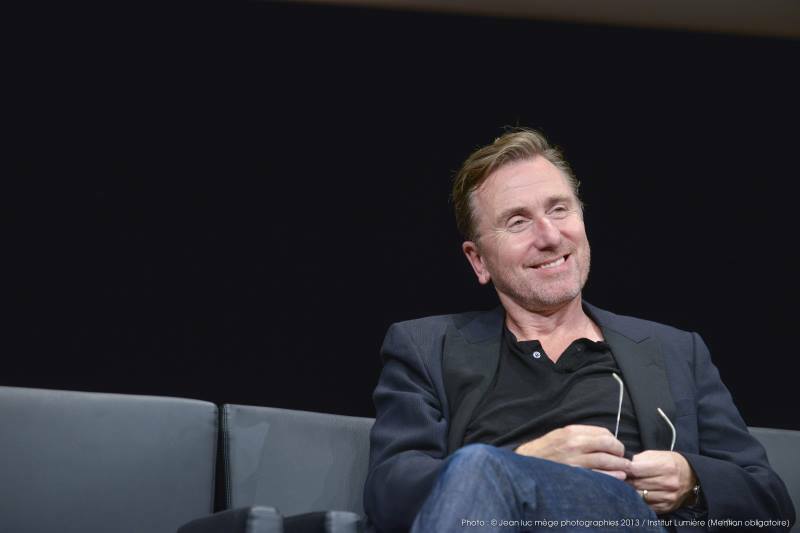 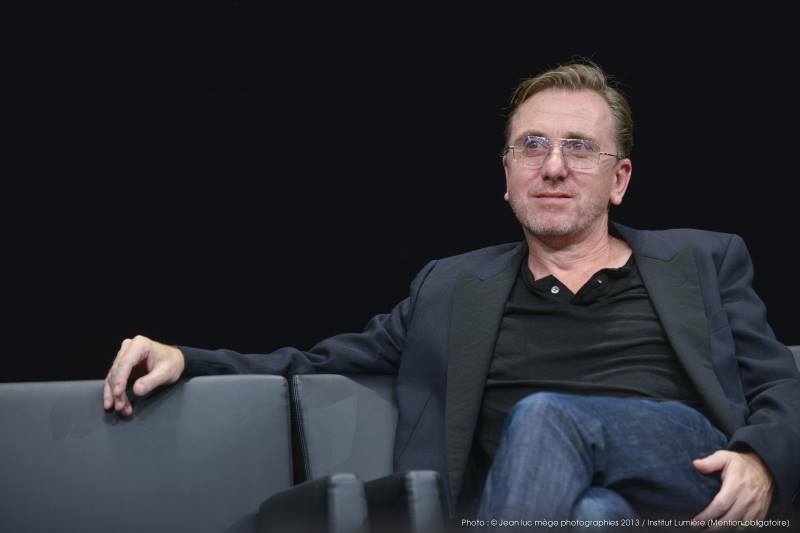 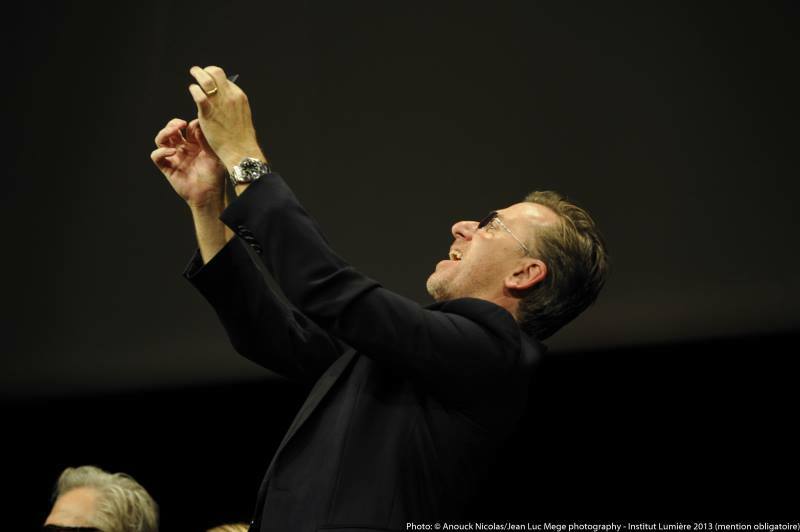 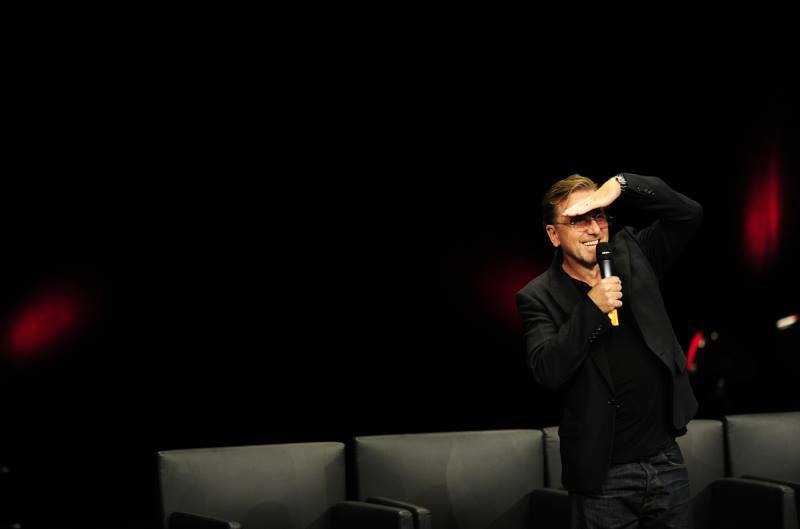 Tim Roth turned up, obviously, and kicked off the evening with a speech full of personal anecdotes and tributes dedicated to the director and writer of seven films, over the past 20 years. 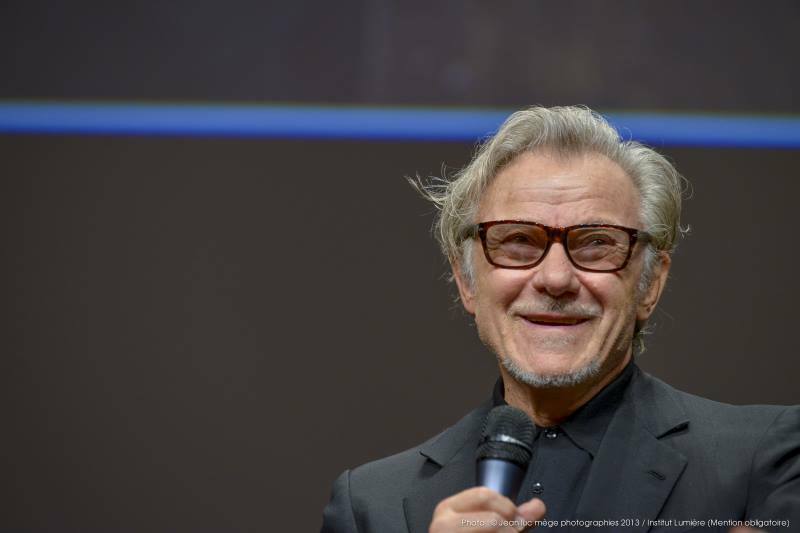 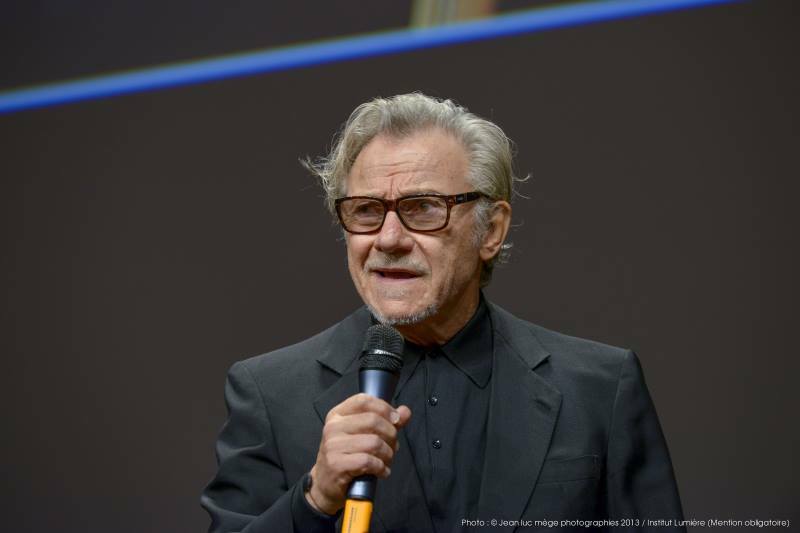 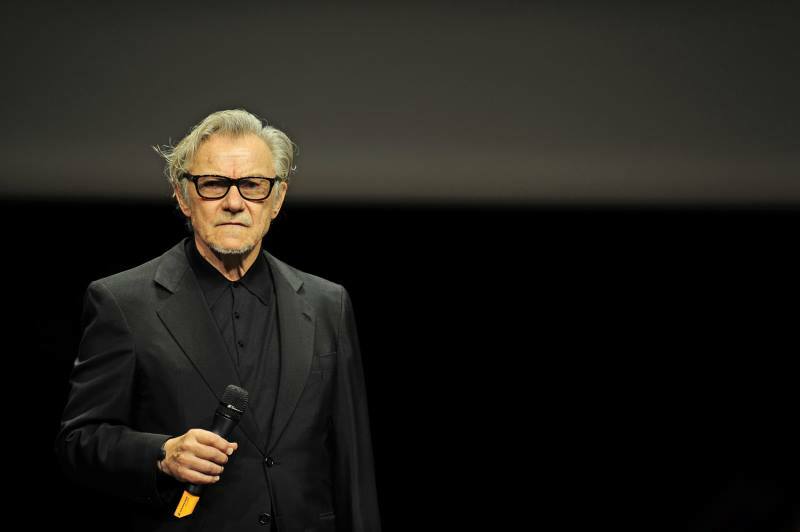 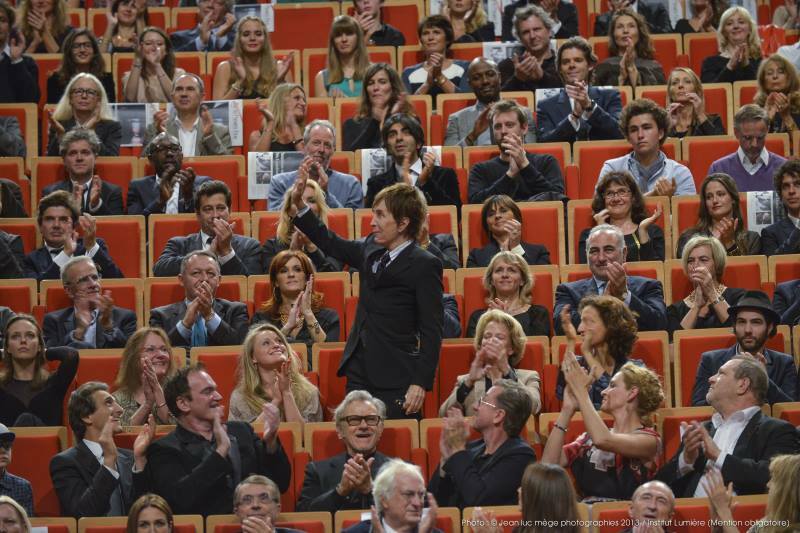 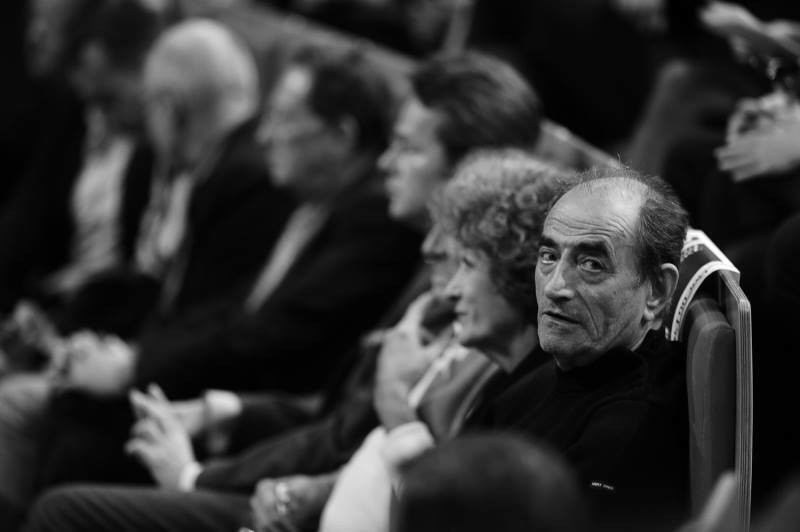 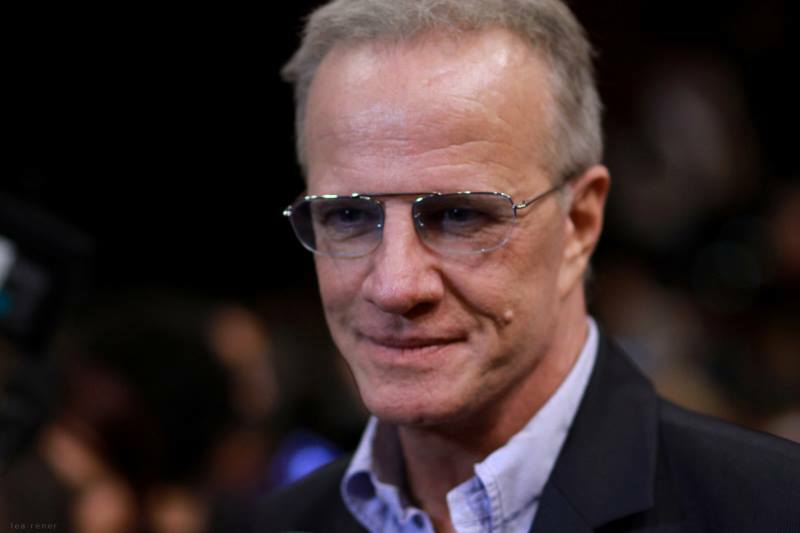 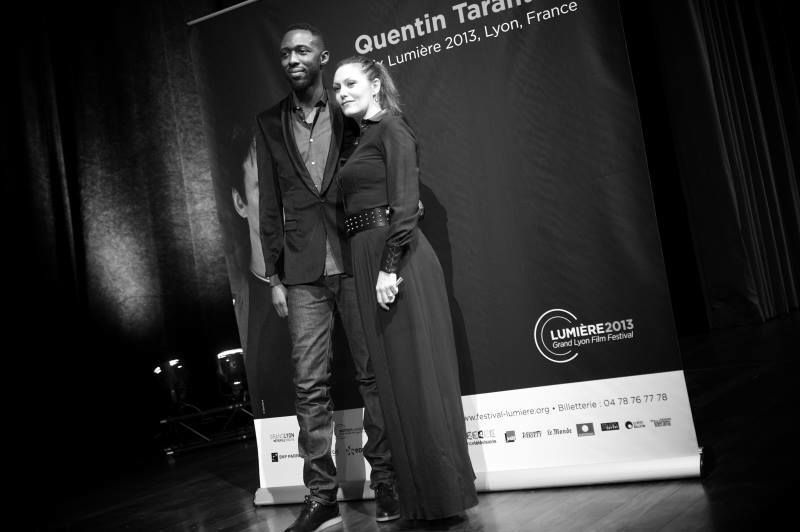 Host Thierry Frémaux steered the course of a Lumière Award ceremony that will go down resonate in the memory of the public and festival for years to come… Harvey Keitel choked up, Tarantino flushed with the warmth of all the declarations of friendship and respect from all those who see the filmmaker as not only the most passionate cinephile, but also the one who, through his unconditional love and passion for all of cinema, somehow cleared a path open wide for their careers, free from restriction. 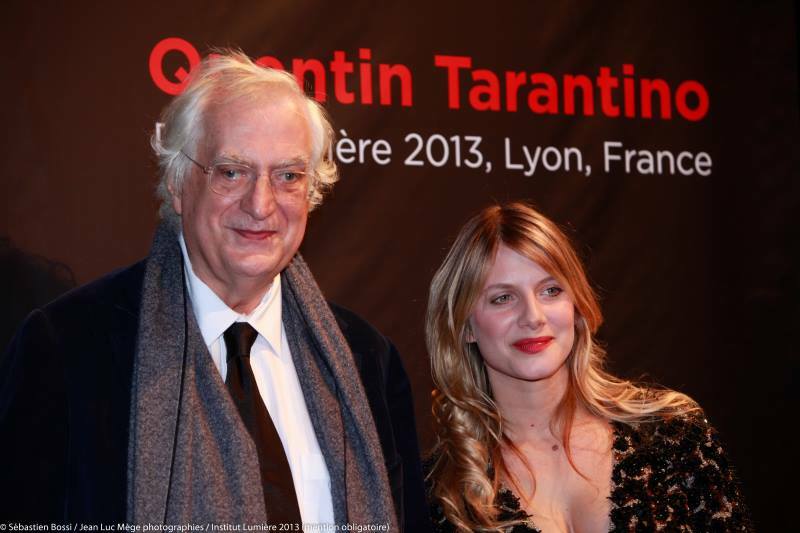 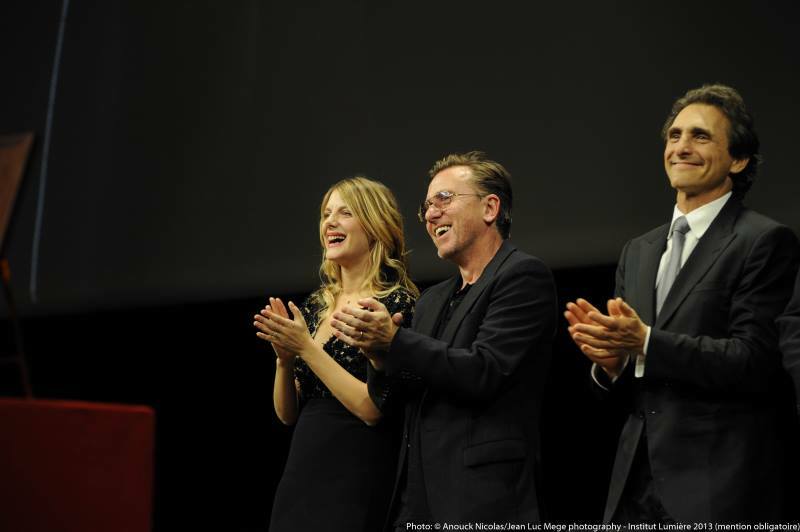 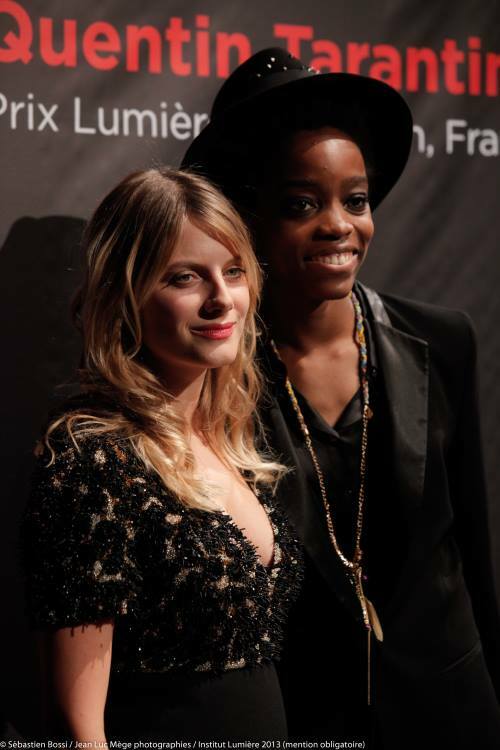 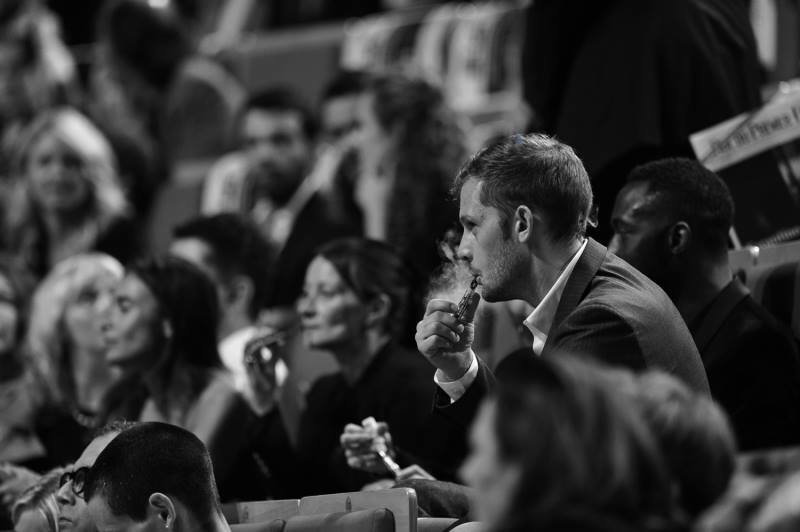 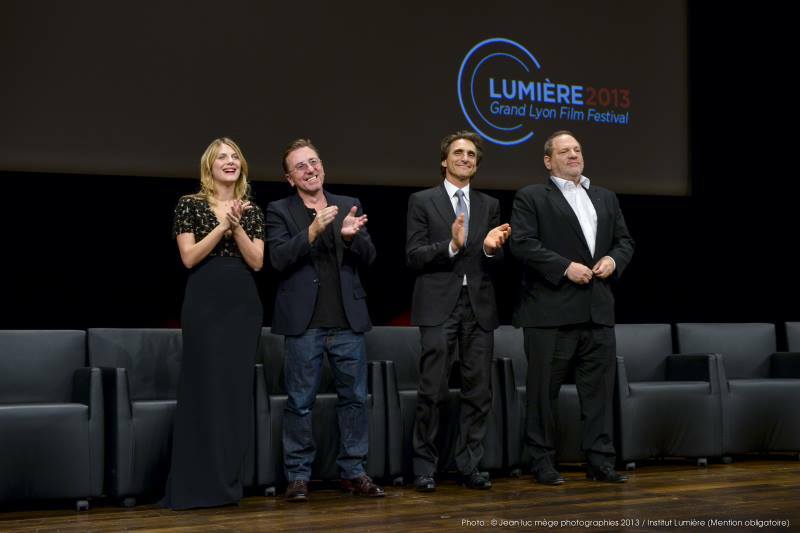 The Lyon audience and journalists were taken unawares by the arrival of a voluptuous, well, to die for, Mélanie Laurent, touched by the grace of the classic beauties. 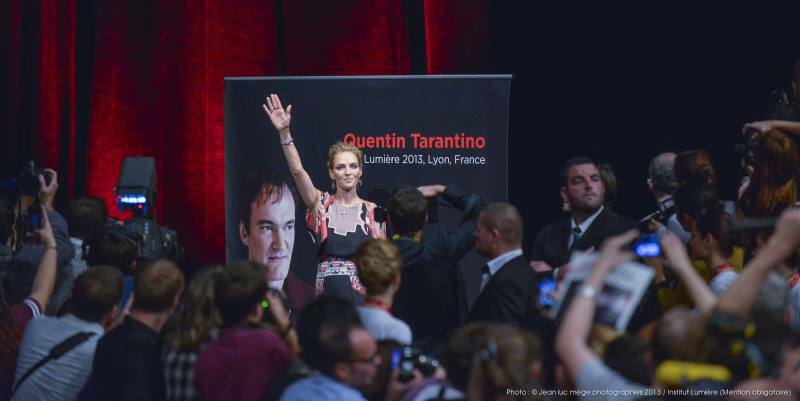 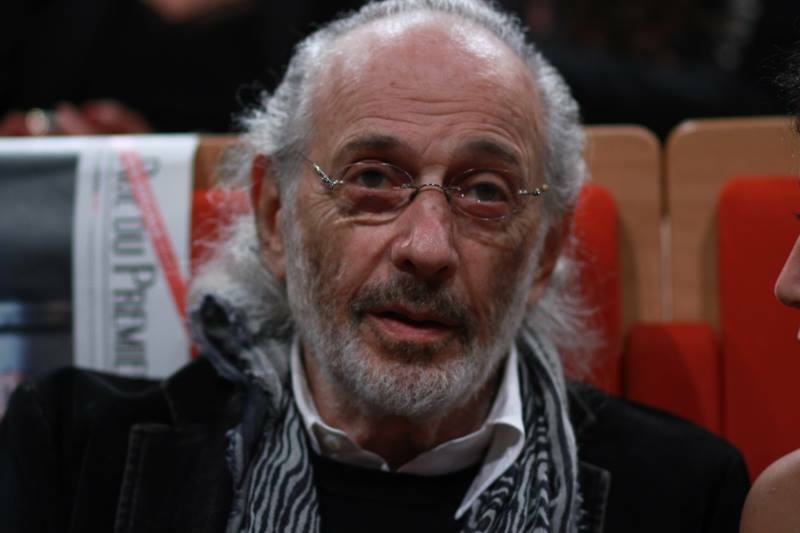 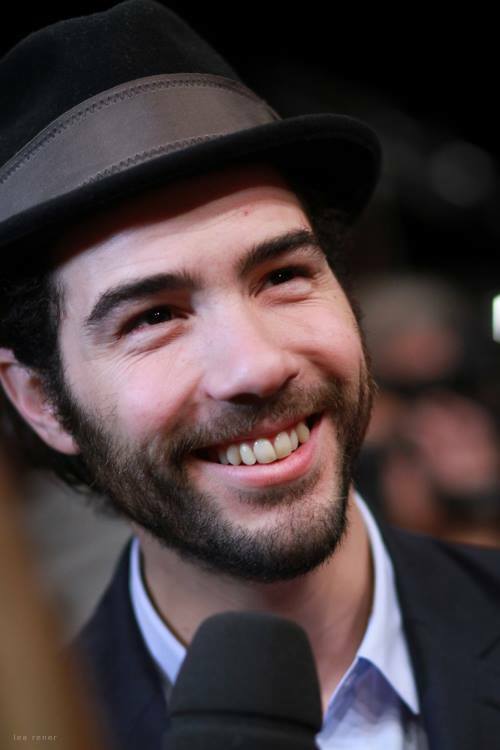 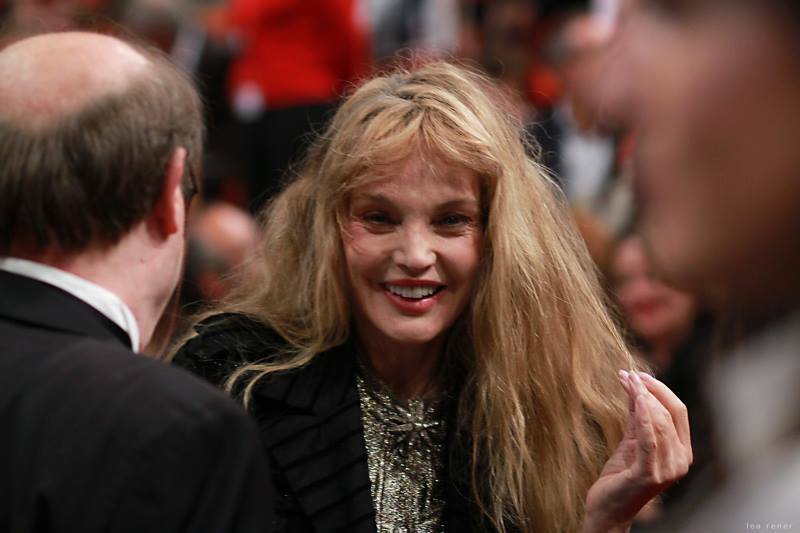 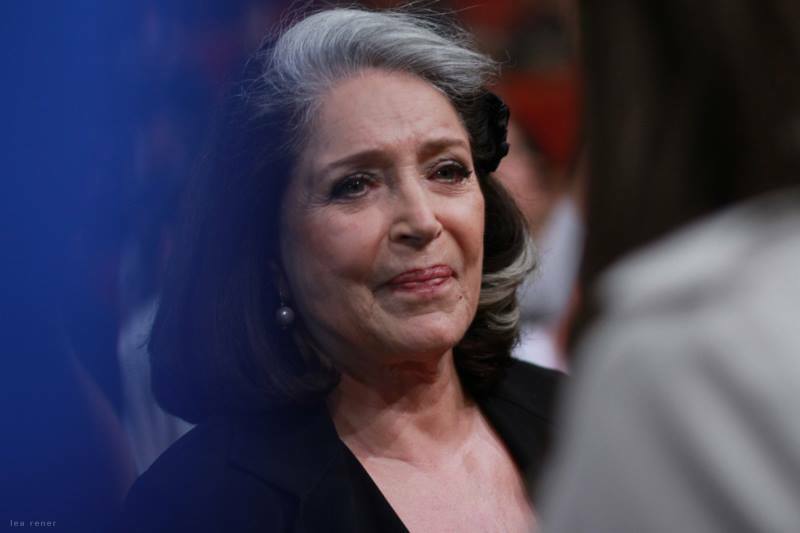 It was the first public appearance in some time for the actress, for whom Tarantino custom designed the role of a member of the French Resistance in Inglourious Basterds. 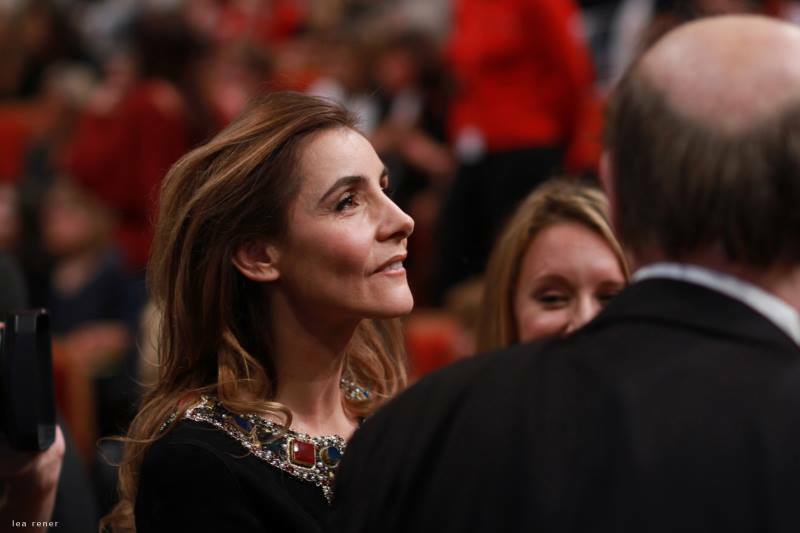 She came to pay her respects just three weeks after the birth of her first child. 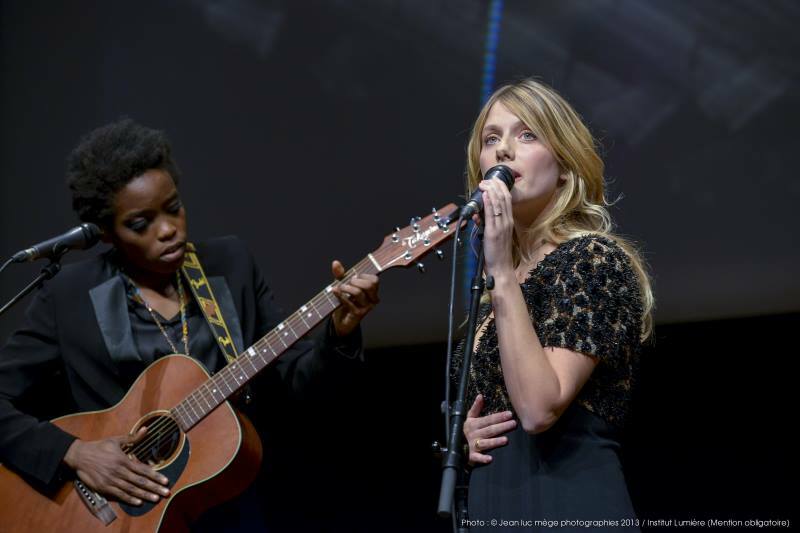 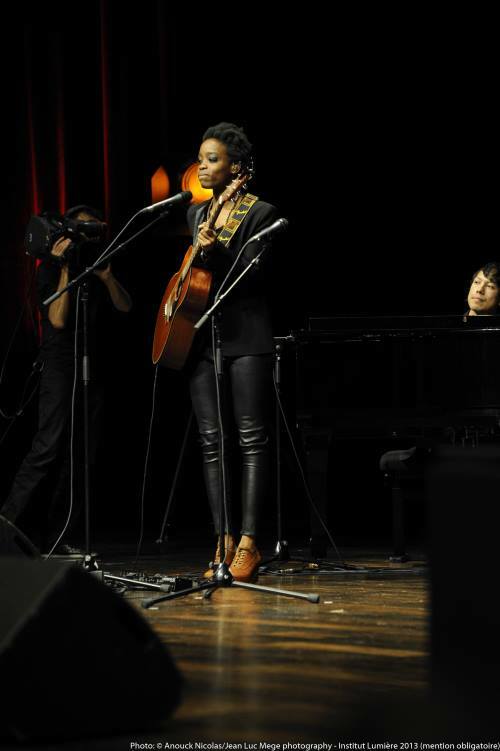 Cutting to the chase, Mélanie Laurent bucked a speech for a song with a poignant and symbolic rendition of Bang Bang.